The Royal Oak in Swanage Dorset is renowned for it's welcoming and friendly atmosphere. It has a cosy bar area hosting a range of draught and bottled beers, as well as a restaurant serving a selection of fine quality traditional and modern pub food. The pub was once individual cottages which have been converted into the public house you see today, with some parts of the pub dating back over four hundred years. 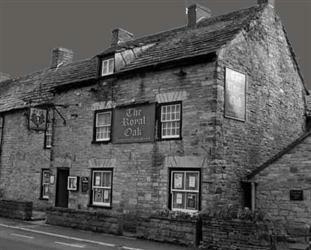 We were invited to investigate The Royal Oak pub during April 2012. Many locals have reported strange, unexplained goings on at the pub and we were very excited to be asked. Conducting the investigation was Helen, Becky K, Becky W, Keiron and me, Lorraine. We were joined on our investigation by the landlady Rachael. We arrived at 10pm and we begun our investigation upstairs in the bedrooms. Rachael first led us up to the twin bedroom, where a lot of activity had been reported by various people who had spent the night in the room. This room felt inviting and warm and seemed to have a pleasant atmosphere. We started the investigation by asking for some activity to happen. Almost straight away we heard some banging sounds, but as the wind was so strong we dismissed this as possible paranormal activity. We continued to take turns to call out and Kieron remarked that he could hear the sound of dripping water. Eventually we could all hear the occasional sound of what sounded like droplets of water hitting the floor inside the room. Rachael told us that there was no water - so no pipes on this floor and we could not understand why we could hear any kind of water sound. Eventually the wind died down for a while and the banging we had heard stopped. We called out again and before I could even stop speaking we heard a distinctive thudding sound from inside the room. Helen was sat on the left hand bed as you look into the room and she said she kept feeling cold blasts just where she was sat. I felt really hot at that time so I suggested I should sit on the bed and see if it happened to me. I sat on the bed and straight away I felt an icy coldness wash over me. 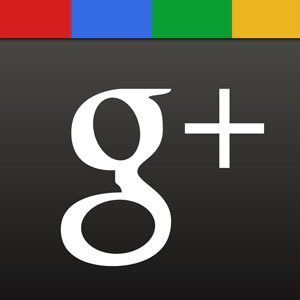 I started getting goose bumps and it felt almost like my breath had been taken away from me. This lasted for about a minute and then dissipated and I felt warm once again. Then after about ten minutes of nothing happening, I felt as if someone had sat on the bed beside me. I had felt the bed dip slightly and I reached over to where I thought it was, and it was ice cold. This side of the room definitely felt different to the rest of the room. When I remarked on this, Rachael said that people who had previously stayed in the room had also had strange experiences in this corner of the room, and while sat on this bed. After about an hour in this room we decided to leave a camera filming in there and move onto the double room across the hall. As I walked into this room the atmosphere was fine. It seemed a peaceful and calm room, although Becky K felt cold and uneasy. We took our places in the room and we started to call out. Everything seemed fine at first as Rachael told us of previous activity which had been reported in this room. I was filming with one of the cameras and had just changed the battery to a fully charged 2 hour battery. It had displayed 2 hours as I started to film and suddenly the battery lost 20 minutes and I saw it change on the screen. As I remarked to the group what had just happened I started feeling really hot and felt like I could be sick. Becky K and Helen felt my forehead and could feel how warm I was. Keiron then remarked that he felt unsteady on his feet and as if he was swaying from side to side. While this was happening to us the battery lost even more power and I was left with only a few minutes remaining on the battery (the battery has been tested since and is working fine). My battery eventually died after only 7 minutes of filming with the 2 hour battery. And I was feeling increasingly sick so decided I needed to leave the room as did the others, and we decided to move on to the next room. Helen took her camera out of her bag to photograph the room and the new batteries she had put in her camera only a few hours before were exhausted, but she had not as yet taken any photographs. She replaced the batteries and took a few photographs and within minutes the new batteries too had drained. The next room we investigated was a newly renovated room which will eventually be converted into an office. The room was totally bare with no furnishings. As we all walked in a few of us instantly felt unsteady on our feet. As it is a very old building we thought it may be that the floors were uneven so we decided to check. We placed a light up ball which we use on our investigations onto the floor to see if it rolled, but the ball stayed in place even after a gentle tap. This room to me had a weird feeling and was unlike the other rooms we had previously been in. The room had a large cupboard which contained the boiler and also a hatch which lead up to the attic room. While calling out in this room we kept hearing what sounded like footsteps above us. There was a ladder leading up to the open hatch so Keiron climbed up to investigate but found nothing. We continued to investigate this room and we kept hearing things from inside the cupboard and up inside the hatch. At one point while I was leaning in the cupboard to film the door seemed to open more by itself. We finished in this room and made our way to the next. The next room we went into was a room which was being used for storage. Keiron, Becky W and myself sat on the bed and I was holding the K2 meter. I asked if there was anyone there could they please try and make the lights on the meter light up. After about a minute the K2 meter lit up 4 lights and then stopped, then after a second or two it did the same and this time it was caught on camera. We then did a sweep of the area with the K2 meter and the EMF meter but we got nothing else. After this nothing else really happened in this room so we then moved downstairs to the bar area. The atmosphere in the bar area was welcoming with a nice warm fire burning and everything seemed very calm. We decided to stop for a short break and have a cup of tea. While the others drank their tea Helen and I went back up to the twin room to change the tape on the camera which had been left running all evening. This room was on the second floor and as we started back down the stairs to the first floor we heard a very loud dragging sound coming from the room which lead to the newly renovated office room. The room which led to the office was Rachael’s bedroom. This sound stopped both Helen and I in our tracks and at the same time Rachael, who had been in the bar area with everyone else, called up the stairs to see which room we were in. We explained that we were on the stairs and we had heard a dragging sound coming from the room beside us. Rachael then explained that everyone in the bar had heard dragging, like furniture being moved, in the room above them which was next to the room that we had heard the noise coming from. This room was locked as it was one of the rooms which are rented out and the tenant was not in, so it could not have been him. Helen and I explained we had also heard a dragging sound from Rachael’s bedroom and we all went inside to investigate but we couldn't find or see anything. Back down in the bar area we began our investigation again. The bar seemed peaceful and at first we got nothing until I heard what sounded like a sigh beside me, which was caught on the voice recorder. Then we started getting K2 meter readings by one of the tables where Becky W and Keiron were sat. The meter seemed to stay on and only changed when we moved it away from this spot on the table. Once we moved it back the meter lit up again. This continued for a short time until we moved it away and when we moved it back there were no more readings. Due to the battery drain we had been getting we were now down to one video camera which was just about to die and the voice recorder which seemed fine. It was as soon as the last video camera died things really started to happen. We were sat chatting about one of the old regulars from the pub, who was a good friend of Rachael’s, who had passed away recently. Suddenly the front door bell started to ring. It did not ring just once, it was continually ringing over and over again. Rachael and I ran to the front door and opened it but nobody was there, and we could see all the way up the street - there was nobody to be seen. The doorbell continued to go off until Rachael removed the batteries, and we could find no explanation for this. After this we noticed that a hanging decoration which was hanging from the bar had started to move. Nobody had seen it start, it was just swinging in an anti-clockwise direction. We could not be certain if somebody had knocked it by mistake, so we called out and asked if anybody had moved it - and if so could they please stop it. We continued to look at the decoration which did not stop but slowed, and then started swaying to and fro. We called out again and asked if they could make it change direction, and it started swinging clockwise. It was now almost 4am and we decided to call it a night. This clip is of an E.V.P captured in the twin bedroom. The first time we visited the Royal Oak for a chat with Rachael we popped into this room for a look about. While we were chatting I heard what sounded like a baby crying coming from the corner of the room. On the night of the investigation while in this room we all heard a screeching sound, again from the same corner of the room. This was over by the left hand side bed if looking face on to the beds. This unfortunately was not picked up on any of our equipment. After we had heard the screeching coming from this area we decided to place the voice recorder on the left hand bed and this is what we captured. While sat in the bedroom which is being used for storage we got some KII meter activity. I asked it they could come towards me and make the lights on the meter move. After 30 seconds the KII meter registered 4 lights and then stopped. Then almost straight away it flashed between 2 and 3 lights. This clip shows the second meter reading as the camera was not on the KII meter for the first reading. Here we are sat in the bar area and myself and Becky K thought we saw the KII meter move. Not heard by us at the time you can hear a sound which almost sounds like a Groan. This is a voice recording of the same sound as the clip above but taken from the voice recorder and I have slowed it down on the replay. This is the recording of when the doorbell went off while we were in the bar area. With no battery power left on the cameras the voice recorder was the only piece of equipment left running.